State Department urges Israel 'redouble efforts to prevent civilian casualties.' But with Hamas encouraging deaths, what more can be done? The United States on Thursday urged Israel to do more to protect civilians caught in the crossfire between the Israel and Hamas, after Palestinian Arabs claimed to international media that four children were killed during an IAF air strike. 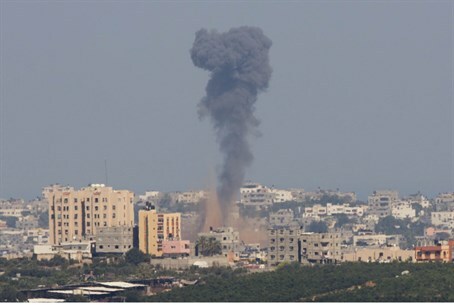 "We ask (Israel) to redouble their efforts to prevent civilian casualties. We believe there is more that can be done," State Department spokeswoman Jen Psaki told reporters. "We believe that certainly there is more that can be done." "The tragic event makes clear that Israel must take every possible step to meet its standards for protecting civilians from being killed," Psaki added. It is unclear what else the State Department believes can be done to prevent the civilian casualties, after the IDF has proven over and over again that Hamas has been encouraging Gazans to become human shields. Hamas has in the past urged Gazans to ignore warnings from the IDF about upcoming strikes, in remarks caught both on Hamas-sponsored television and on the radar of international media outlets. Hamas's "Public Security Ministry" in Gaza even made official statements Thursday encouraging more civilians to refuse to heed IDF warnings ahead of a possible ground offensive.